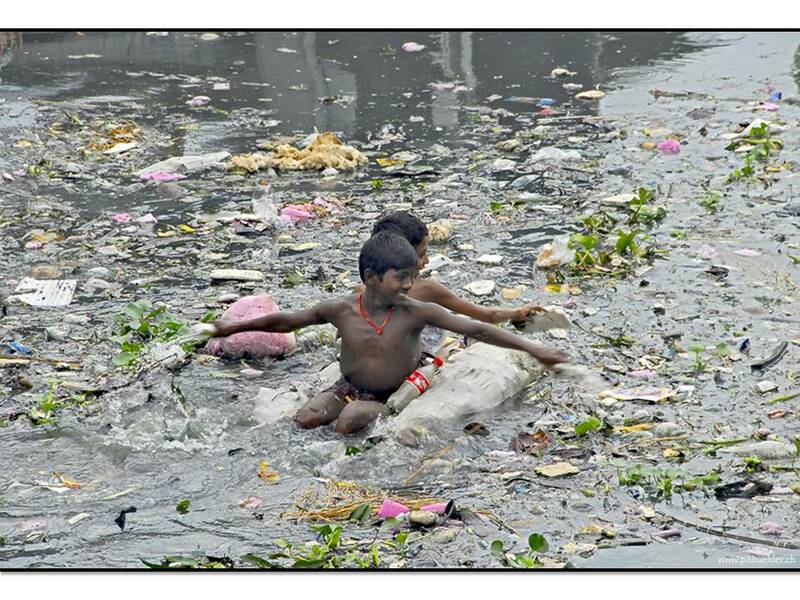 Dhaka City: Is It Our Buriganga?? The Buriganga river in Dhaka has become heavy polluted from sources such as waste flowing into the river, oil spills from boats and building structures appearing on the river banks. The Buriganga river in Dhaka has become heavy polluted from sources such as waste flowing into the river, oil spills from boats and building structures appearing on the river banks. Dhaka, Bangladesh. 30/12/09. In the distant past, a course of the Ganges river used to reach the Bay of Bengal through the Dhaleshwari river. This course gradually shifted and ultimately lost its link with the main channel of the Ganges and was renamed as the Buriganga. Hundreds of years ago, the banks of the Buriganga were a prime location for trade when the Mughals made Dhaka their capital in 1610. It was the main waterway for trading. It is said that the water levels during high and low tides in this river astonished.40-50 years ago, a cruise on the historic Buriganga River in the capital used to be a must for visiting dignitaries. It was once the main source of drinking water for Dhaka residents, and the river is still crystal clear an hour upstream from the capital. 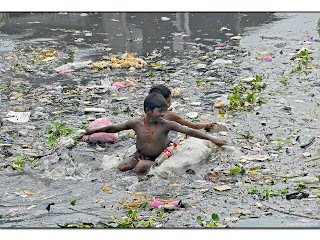 These days they are confronted with foul smells and rotting fish, the stench is unbelievable, according to the Environment Department, up to 40,000 tons of tannery waste flows into the river daily, along with sewage from Dhaka, a city of more than 10 million. It is now a dying river and the situation will get worse unless steps are taken urgently to reverse the trend.